I'm an author and co-author of 30+ scientific publications. My proffestional journey starts with Java used to create enterpriste telecommunication solutions. Write it fast, let's look your code beautifully - this a what I like in ruby and ruby on rails. I teach young students to get familiar with distributed computing. I'm full-stack developer with 10 years of professional experience. Software without solit tests will be your darkest nightmare. I want to sleep well at night, that is why all the software I'm creating are driven by unit and integration tests. I strongly believe in continous deployment, so minimizing the time between feature development, testing and pushing to the production is my goal. During my work with Atmosphere cloud system I gained deep understanding of different cloud platforms, such as Open Stack, Amazon, Rackspace and Google Compute. During 10 years of my career I was involved in many projects. Take a look what I done and what I'm doing right now. 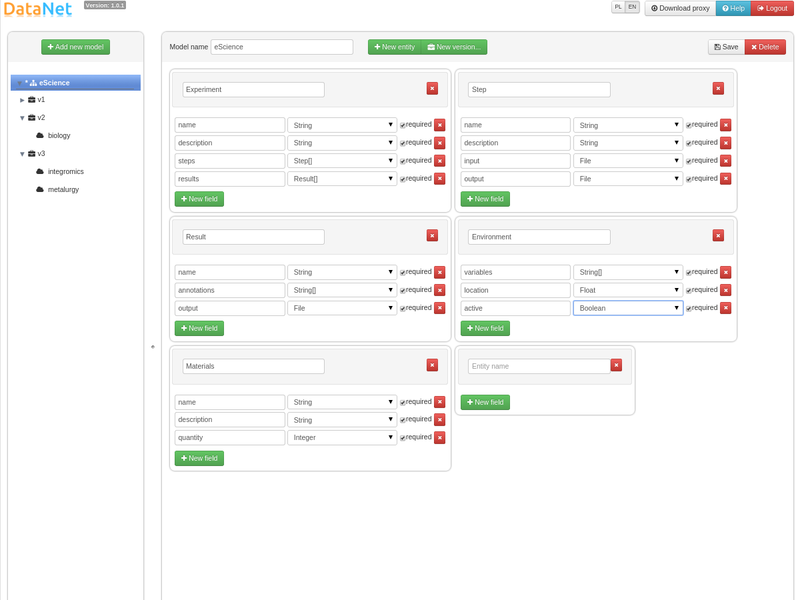 PlgApp is a platform for hosting lightweight web applications using PL-Grid high performance computing infrastructure. 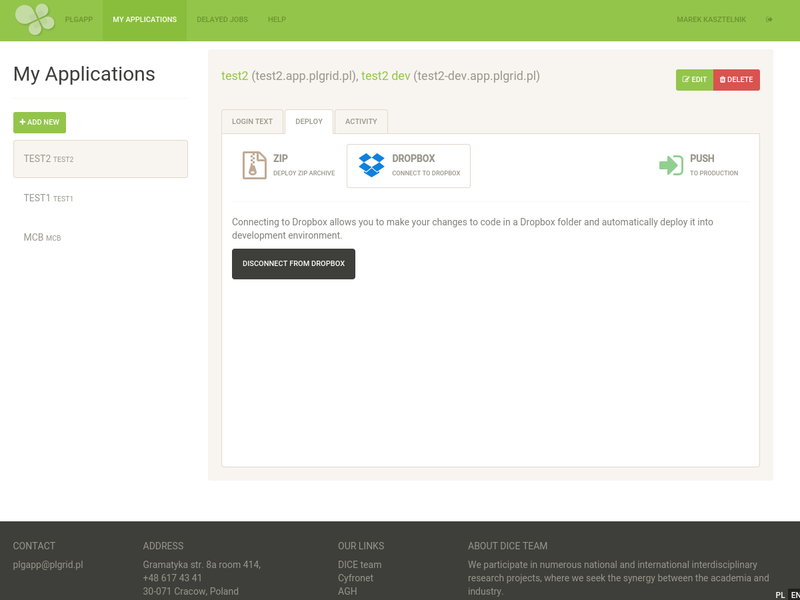 In the scope of this project I learned how to integrate RoR application with Dropbox synchronization mechanism. 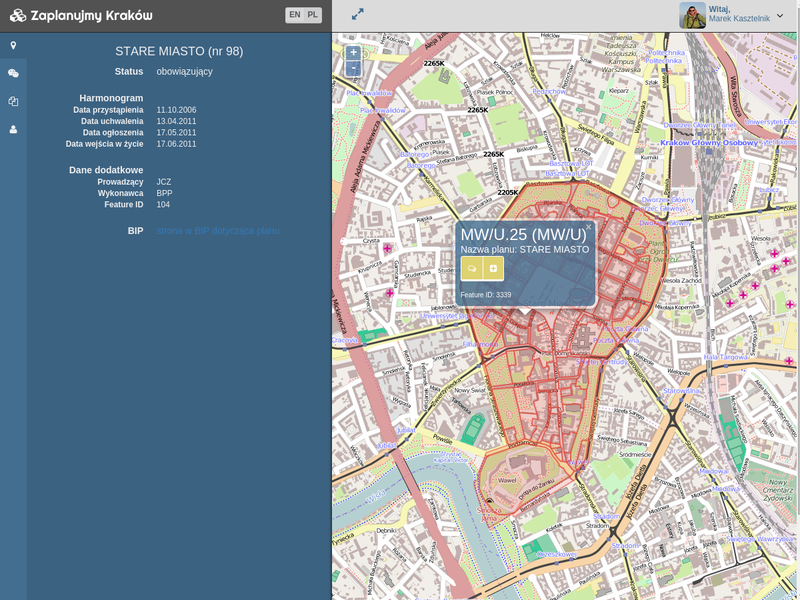 Kraków zoning application is a work in progress, proff of concept solution to show the local government how open data can be used by the community to deliver new tools important for the citizens. It will allow to browse, discuss and report comments to Kraków zoning plans. In the scope of this project I had a pleasure to be a co-author of Datanet - lightweight metadata and data menagement platform integrated with PL-Grid infrastructure. VPH-Share develops the organisational fabric and integrates optimized services to expose and share data and knowledge. 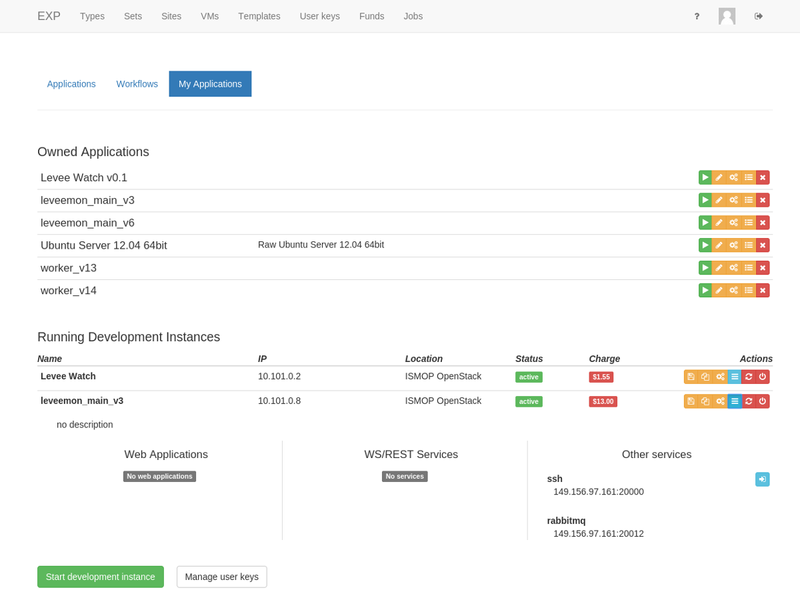 In this project I'm a main developer of Atmosphere cloud platform and creator or small library - Redirus - responsible for managing http/https redirections. Thanks to collaboration with Jagiellonian University I was able to see how PhD students report progress in their dissertation. Mostly I was time consuming, anoying, mostly manual process of filling doc documents with a lot of visits in university secretariat. I proposed and deployed an integrated web based solution - Doktoranckie Rozliczenie Aktywności Naukowej (Dran) which simplify this process. Dran simplify the way how PhD studens reports their progress in preparing the disseration. I created first Dran version using PHP and Symfony framework, next it was redesigned and reimplemented using Ruby on Rails. Every year it is updated (if needed) to be in aligh with Jagiellonian University regulations. After winning Executable paper grand challenge my team was asked by Elsevier to integrate with SciendeDirect and deploy proposed solution - Collage - into Elsevier intrastructure. Basing on GridSpace technology with our friends we created solution for executable scientific papers. Thanks to cooperation with Elsevier publisher we integrated Collage with ScienceDirect where you can read scientific paper and execute calculation described in the scope of the publication. In the scope of UrbanFlood project I was creating Common Information Space responsible for connecting distributed resources into Early Warning Systems for preventing flooding. 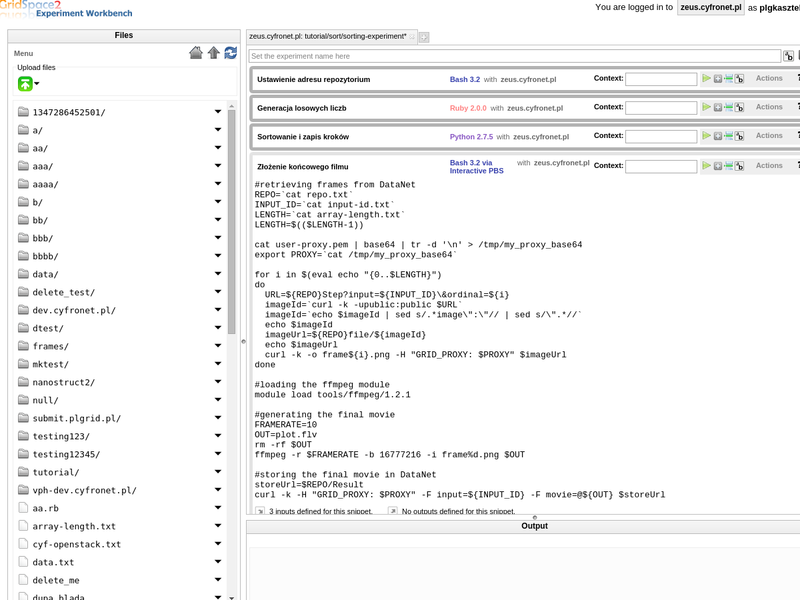 During PL-Grid project with DICE team we created GridSpace Workbench for rapid scientific experiments creation. I was the main developer of Comarch OSS modelling tool which was responsible for simplifying the way how business objects are modelled and persistent in Comarch OSS Suit. During Marrying Ontology and Software Technology (MOST) project I was investigating how ontology can be used to assembly and validate physical devices in Comarch OSS Suite. I joined Distributed Computing Environment Team where we are creating tools for scientists simplifying usage of Grid and Cloud infrastructures. In the scope of Computer Science course I'm teaching students distributing computing. In GREDIA Project I was involved in preparing a system for access to multimedia data on the Grid, in the context of business applications. I started my first job in Comarch Telecommunication RND department. 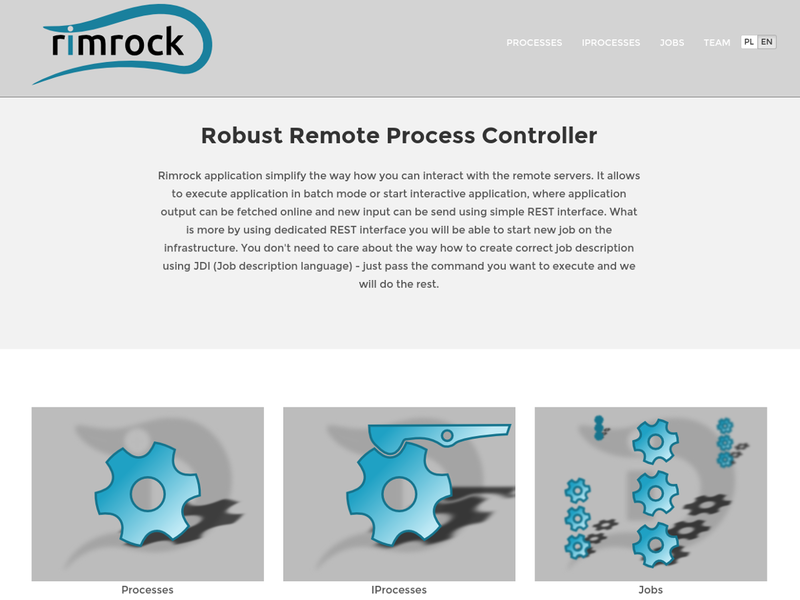 I was involved in design and development of web based telecommunication operation support system. Bellow you can find more information about last projects I was involved in. Thank you for visiting out my profile. If you would like to get into contact with me, please send me an email.